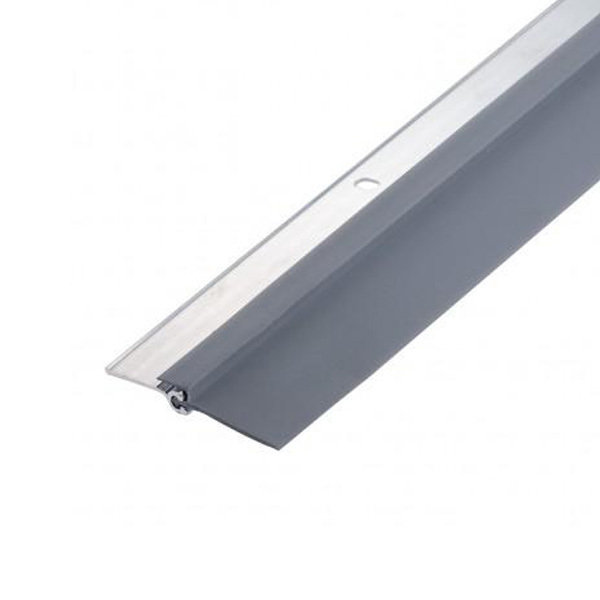 Aluminum and vinyl door bottom sweep includes three gray vinyl flanges for maximum draft control. Sweep is 1 3/4 high and either 36 or 42 length. Doorstop and vinyl covered foam weatherstrip all in one. Round edge molding for a neat appearance. Vinyl covered foam seal remains pliable in the coldest conditions. Each kit contains two 7' pieces and one 3' piece. Pre-primed wood carrier. For use with the Jamb Liners.